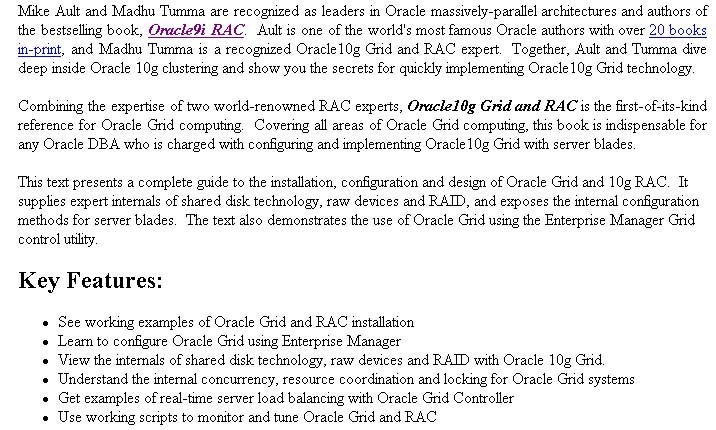 Every DBA should understand Oracle grid installation. Our experts go behind the scenes and present tips and secrets into effectively completing Oracle grid installation. 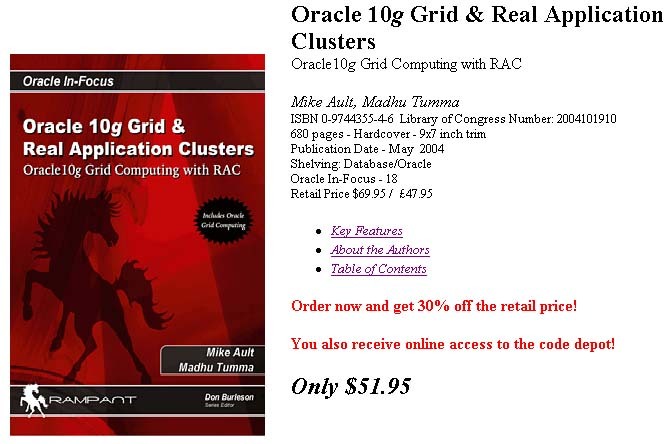 Primary features in Ault and Tumma's Oracle grid installation book are Oracle grid installation, configuration, performance and tuning.